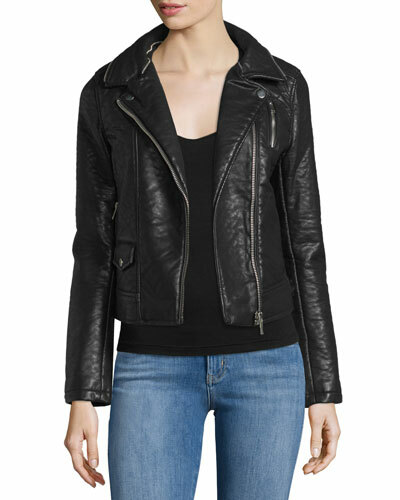 With an upcoming blogger girls weekend in Napa with Steph, Cait & Tash I have been on the hunt trying to find the perfect black faux leather jacket. 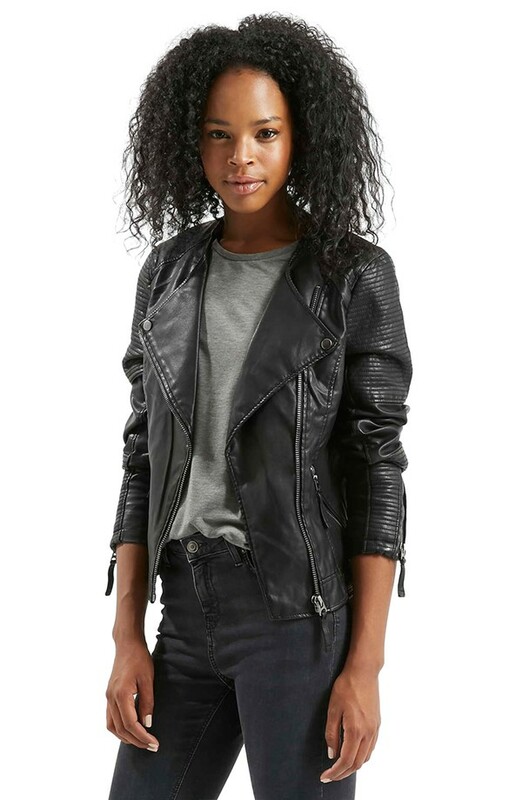 After ordering a real leather jacket on eBay that was a major fail (luckily was also 100% returnable) I decided vegan/faux leather was better for me anyways. So if you're searching here are some that I found and liked. I discovered this jacket after I purchased another one and was bummed when it was out of stock in my size. And true to form with anything I like, I stalked the hell out of it until I saw it was available for preorder. 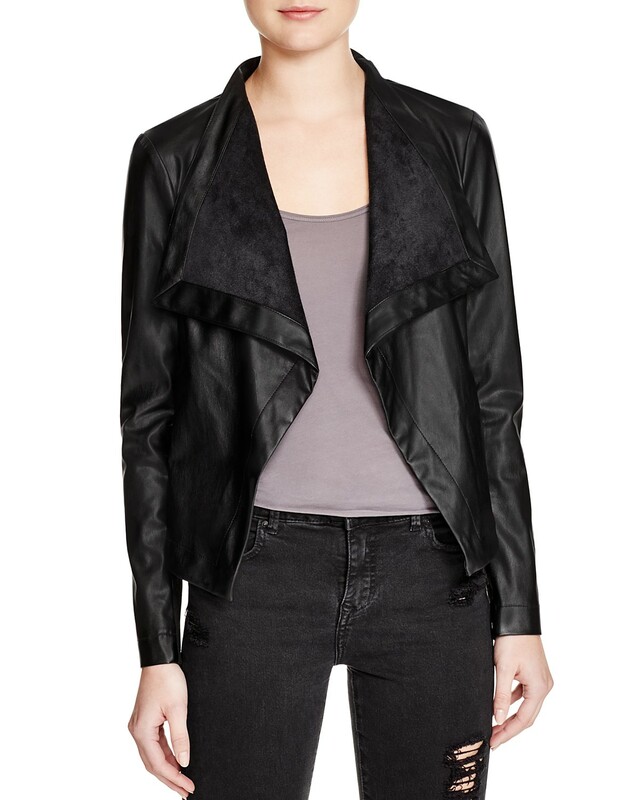 I love so much about this jacket but mostly the draping in front and the price! This one just may be too good to be true. This is the initial jacket I ordered but I am not certain I am going to love it. This to me has more edge and also a lot more going on. However it has such awesome reviews I thought it would be a good one to start with. I have this jacket in dark brown from a couple of years ago and for the price point I think it's pretty nice. It's a thin jacket and much more for style than warmth. This has more of a biker look but I like the structure of the jacket. It also comes with a removable fur collar. Get 35% off one item until tomorrow (2/4/16) with code ONELOVE. One of my good friends has this jacket and I love the way it looks on her. It hugs in all the right places and always ups the trend factor in her outfits. What are your thoughts on faux leather? Yes or Yuck? These are all great picks, and I'm so jealous of your trip - I hope you girls have a blast and drink tons of wine! 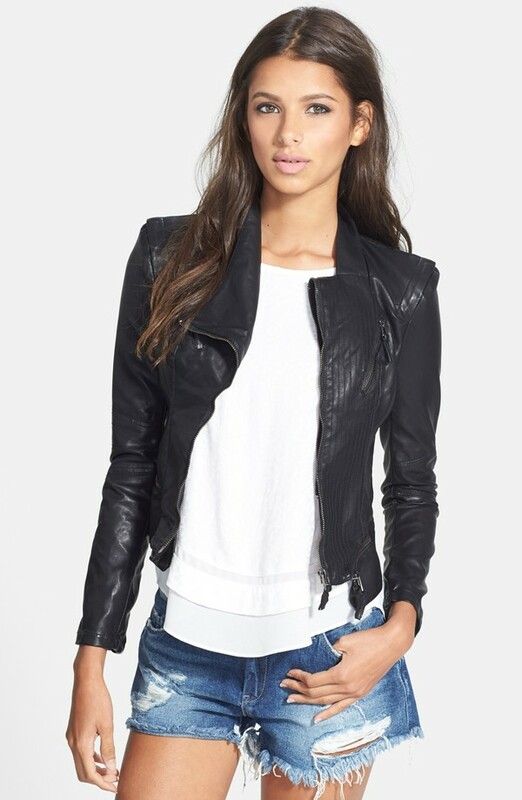 I have a super similar Blank NYC jacket that looks exactly like the first one and LOVE it! I got it at Nordstrom during the Anniversary sale - I'll see if I can find it still! I looooovee that first jacket! The draping and lapel is gorgeous. Love that first jacket! One month to go! We need to discuss wardrobe for the trip! What will the weather be like? Commence email discussion now! The first one is gorgeous, but I don't think you can go wrong! And what a FUN trip!!! I LOVE that last one! I have the BB Dakota one as well and it's one of my favs!